Hume, Operational Closure, and Monad-Oriented Ontology | Larval Subjects . Secondly. If it happen, from a defect of the organ, that a man is not susceptible of any species of sensation, we always find that he is as little susceptible of the correspondent ideas. A blind man can form no notion of colours; a deaf man of sounds. Restore either of them that sense in which he is deficient; by opening this new inlet for his sensations, you also open an inlet for the ideas; and he finds no difficulty in conceiving these objects. The case is the same, if the object, proper for exciting any sensation, has never been applied to the organ. A Laplander… has no notion of the relish of wine. And though there are few or no instances of a like deficiency in the mind, where a person has never felt or is wholly incapable of a sentiment or passion that belongs to his species; yet we find the same observation to take place in a less degree. A man of mild manners can form no idea of inveterate revenge or cruelty; nor can a selfish heart easily conceive the heights of friendship and generosity. It is readily allowed, that other beings may possess many senses of which we can have no conception; because the ideas of them have never been introduced to us in the only manner by which an idea can have access to the mind, to wit, by the actual feeling and sensation. What Hume articulates here in the portion I have bolded is a variant of why, as Lacan liked to put it, all communication is miscommunication. Put in terms of the theory of relations between objects I advocate under the title of onticology, Hume is here articulating the principle of operational closure characteristic of all objects. Drawn from autopoietic theory but extended to all objects, autopoietic and allopoietic, operational closure is the idea that external stimuli do not determine internal states of an entity, but rather only trigger them. The determination of internal states in an entity results from the internal structure and dynamics unfolding within the object. Here, then, there is a marked difference between Harman’s concept of withdrawal and my concept of operational closure. Harman argues that objects are withdrawn such that they have no relations to other entities (a position that I’m unable to make sense of even when the concept of vicarious causation is introduced). By contrast, operational closure doesn’t deny that objects can enter into relations through stimuli flashing between them, but argues that these stimuli are not determinative of what takes place in the receiving entity but only trigger states within the entity. As the autopoietic theorists say, objects are operationally closed (their states are determined by their internal structure and dynamics) and structurally open (they are receptive to stimuli from without). Hume’s examples of the selfish and mild mannered man help us to get a sense of what operational closure looks like. Take the example of the selfish man. The selfish man witnesses another person help a friend move. What the selfish man witnesses is the stimuli. However, while the stimuli certainly triggers states in the selfish man, the stimuli does not determine the internal states of the selfish man. Like the person who is color blind and who therefore is unable to distinguish the color purple from blue, the selfish man is unable to see the event for what it is: a generous act of friendship. Were the stimuli to determine the internal states of the selfish man, he would have the internal state of recognizing the event as a generous act. But the selfish man just doesn’t have the internal structure to grasp the act in this way. Instead, the selfish man interprets the event according to his own internal structure and dynamics in the only way possible for him. For example, perhaps he concludes that the man helping his friend to move really has a nefarious selfish motive. He thinks to himself, “these two ‘friends’ work together and are both up for the same promotion. Clearly he’s helping his friend move so that in the event that his friend gets offered the promotion he can guilt him saying ‘don’t you remember all the things I’ve done for you! how can you even consider taking the promotion? '” In other words, due to operational closure the selfish man will interpret the motives of others based on the same sorts of things that would motivate him. The situation is similar with the mild mannered man who is unable to imagine inveterate desires for revenge and cruelty due to how he is operationally closed. Perhaps the most famous mild mannered man in America today is President Obama. If we take Obama’s actions over the last three and a half years at face value, then we truly get the impression that he is a judicious minded soul, that is very emotionally balanced, and who genuinely believes that compromises where everyone gets a little of what they want are the best outcome in interpersonal relations. Compromise and negotiation for the sake of the greater good are the name of the game for Obama. These are what constitute his internal psychological structure. And because this is the frame through which Obama views the world and interpersonal relations, he is unable to even imagine the universes of others who are not motivated by such things, but rather who are motivated by rigid ideology, a desire to defeat the opposing party, and a desire to advance their own party’s interests at all costs even when and where it is not in the best interests of the country as a whole. 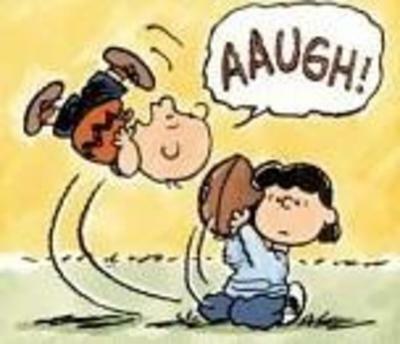 This inability to see is, of course, Obama’s tragic flaw. 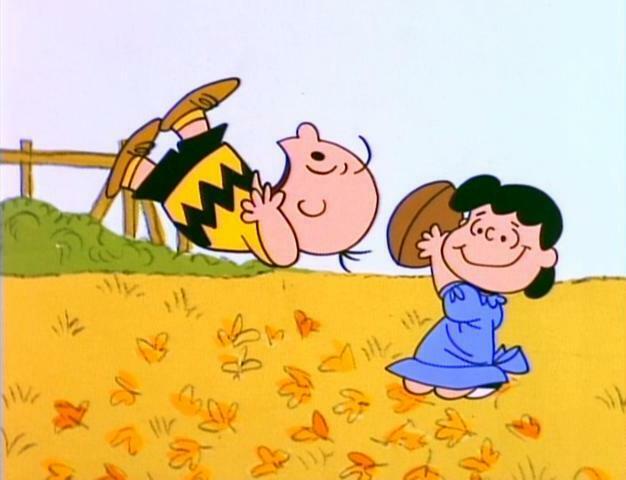 Like Charlie Brown playing football with Lucy, Obama again and again enters into negotiations with Republicans, trying to strike a deal, only to find them once again holding the budget hostage a few months later or crying that Obama is a socialist, Nazi, pig that wants to take their guns away, force us to put the elderly to death, and force women to have abortions. Of course, when Obama hears disagreement from the Republicans, his initial reaction, due to how he is operationally closed, is not to conclude that they’re willfully being obstructive. No, his conclusion that is that he didn’t compromise enough. He is therefore led to make more concessions as he genuinely believes his interlocutors are truly seeking a compromise. So it goes. The upshot of this is that our interpretations of others say more about us than they say about us. When we interpret another what we are doing is making a statement about the sort of things that would motivate us. 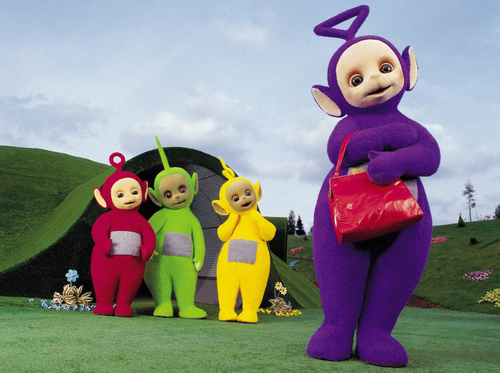 When evangelical fundamentalist Jerry Falwell says that the purple Teletubby is gay, we shouldn’t ask “is the purple teletubby gay?” Rather, we should ask “what is it about Jerry Falwell’s operational closure that leads him to perceive this stimuli as gay?” Operational closure is the reason that it is difficult for men to understand women, white men to understand blacks, the rich to understand the poor, the psychopath to understand the suffering of other people, etc. In each case, the way in which the person encounters the world is not a function of the stimuli but the internal structure and dynamics that lead the person to grasp the stimuli of the world in a particular way. The foregoing is the reason that I am indifferent to whether we refer to onticology as an “object-oriented ontology” (OOO) or a “monad-oriented ontology” (MOO). Objects are not passive entities opposed to a subject, but rather are observers or monads that each grasp other entities in the world from a particular point of view and in a particular way. In other words, the monads or objects are structured by a sort of transcendental aesthetic that structures how they receive and work over the stimuli of the world. This will differ from entity to entity– clearly the operational closure of rocks, mantis shrimps, and psychopaths are all different –but in each case stimuli will be worked over in a particular way by the entity in question. Institutions, corporations, persons, relationships, rocks, bats, octopi, colleges, etc., will all have their particular forms of operational closure and structural openness. Now things are not quite as grim as I have suggested. While we do grasp stimuli of the world under conditions of operational closure, we can attempt to suspend our blind spots and closure by engaging in second-order observation. Rather than simply receiving stimuli and working them over according to our own internal structure or operational closure, we can attempt to engage in second-order observation. Second-order observation consists in observing how other observers observe. Rather than simply apprehending Republicans as mild mannered beings interested in compromise like him, for example, Obama could attempt to observe how Republicans observe or apprehend the world, what the distinctions are that they deploy in working over stimuli, and use this to modify his own ways of interacting with them. Rather than attributing motives to our cats that would motivate us, we can try to enter the world of our cats and explore how they apprehend the stimuli of the world and what motivates them (e.g., they chase the string not because they are playing a game, but because they are hunting an insect). This, I take it, is what von Uexkull is up to in his ethology, what Bogost is up to in his Alien Phenomenology, and what takes place, in part, in the psychoanalytic clinic. It is also part of what great art is able to do for us. Here we no longer as what entities are for us, but rather attempt to explore what the world is like for these entities. If, for example, we treat a corporation as an entity and therefore as characterized by operational closure, we no longer assume that it is a representation of the interests of its share holders or employees, but rather recognize that as a sentient entity it perhaps pursues aims quite different than the aims than those of persons. Moreover, while there are indeed forms of operational closure that are largely fixed– it’s difficult to imagine the operational closure characteristic of a rock or car changing –we shouldn’t assume that operational closure is fixed in all circumstances. Autopoietic entities have the capacity to learn and what is learning if not a transformation in operational closure? Learning consists in the development of new aesthetic fields (receptivity to stimuli that were formerly invisible) as well as the development of new ways of apprehending and working over stimuli (e.g., the persons’s slip of the tongue no longer registers as nonsense but becomes meaningful speech of the unconscious for me). Autopoietic systems like more cognitively advanced animals, social institutions, and today perhaps certain forms of technology can develop new forms of irritability or openness to stimuli that were once invisible to them and can develop new ways of encountering and working over stimuli. Consequently, operational closure need not be a tragic thesis that we are forever doomed to completely misunderstand one another. Our ability to enter into the world of others– animal, social, human, and technological –can grow and develop, even if it will never be complete. Very interesting! Would you say that the opening of one’s closure through another entity, animal, art, technology, etc. is prosthetic in some sense? Also, I wonder how you see Whitehead’s theory of prehensions works with your idea of operational closure, or does it? It seems to me, from my reading of Whitehead, that entities relate through their prehensions. So, is operational closure expanded through a relation that is, in some way, prehensive? “Far from existing on a higher, virtual level, what we call institutions, organizations or groups are nothing but the effort of monads to make some of their attributes flexible enough to be translated by a great many other monads and yet stable enough to be recognized through their transformations … What matters is that the change be gradual enough to preserve some continuity. Everything may change, but not all at the same time”. “Every time it is possible to show that instruments provide a highly focused but limited view of the whole, what have been called, for this reason, OLIGOPTICA instead of PANOPTICA. Such is the type of ‘stigmergy’ proper to human societies”. I individuate entities not through their qualities or shape, but rather through their powers or what they can do. In this respect, when two entities become tightly bound and their powers change we have not a prosthetic relation but rather a new entity. Levi with his glasses is a different entity than Levi without his glasses. Levi with a gun is a different entity than Levi without a gun. Here Haraway’s work on cyborgs and Andy Clark’s work on the extended mind are extremely important to me. Certainly there is a way of understanding what I say in this post in terms of Whitehead’s theory of prehensions. However, I always feel that Whitehead comes with too much baggage to be of much use: his understanding of teleology, eternal objects, and God are just not things that fit within the sort of materialist framework I advocate. For this reason I find it far better to follow in the path of thinkers like Deleuze and Guattari and DeLanda. None of this is to say that I entirely abandon Whitehead. I find much of value in him. I just think that there are a lot of problematic elements in his thought. just a small comment on terminology (as I used to read this stuff a lot). ‘Structurally open’ is not really a term in this theory (this doesn’t stop you inventing it). There is ‘structurally determined’ which is really just another version of ‘op closure’. Structural coupling is the term for the interactions btwn systems leading to structural congruence btwn them. E.g for most social insects this coupling is achieved thru trophallaxis…as in an ant colony. Harman’s claim is that substances are wholes, not aggregates of accidents, and that (here’s the central claim) there is no partial knowedge, or interaction with wholes….I have yet to see this partic claim seriously addressed? And contra Harman these accidents are ‘of’ the whole – they do offer a partial window? This also reminds me of my supervisor Horst Ruthrof’s claim that dualist readings of Kant were misplaced. He would kick the earth and say the phenomenal is the noumenal – under an aspect, I guess. I keep coming back to the end of Deely’s bk on Heidegger where he discusses ‘act-potency’ composition. The question to be answered by act-potency is ‘how do alleged components form an unum per se? – because the distinct dimensions cannot exist apart. there’s something in there that my knowledge of metaphysics can’t tease out – but I have a hunch that it contains something impt. meant to add that Maturana once said to me that Jacob von Uexkull had ‘everything except the notion of structural coupling’ (Melbourne, early 1990’s) I had remarked to him that he refers to uexkull in one of his not so easy to find articles. Paul, “structural openness” is a term from Luhmann. I can’t speak for Harman as I’m not him nor do I share his ontology. I like Tyler’s question about prosthetics. Prosthesis leads to a question about undecidability and difference as characteristic of reality (structureality). Identity is forever unstable. The way I read 4EA theorists is they suggest that cognitive operations of embodied beings are extended in ways that mingle the properties of two or more entities (like a cellphone) to produce distributed networks of ‘mind’ activity. This would suggest closure is a matter of degree (like Levi suggests at the end of this post) and that all objects/monads/systems/assemblages remain in some sense open and vulnerable (“never completed” as Levi argues). Perhaps, in some important sense all objects are hyperobjects then??? And Paul’s mention of ‘partiality’ with re: causal relation as interaction can also be situated within a consideration of ontological vulnerability (openness) as suggested above. Open systems as material systems participate in precarious causality. With regard to your point about the Selfish man and Obama. How do we know that your interpretation is not due to your operational closure? You talk of objects or monad as being observing systems but surely this is the problem of observation and concomitant criticisms of the gaze. It comes from a sapace of operational closure. However, you also talk at the end of getting past mis-understanding. And that requires understanding or listening. The organ of corti rather than the o organ of optics. And it suggests with regard to structural openness understanding, or Verstehen, is superior to the process of development. But then does that not bring us back to intersubjectivity (and you’ve written about subject-OO here I believe) rather than objectivity. Does it not? PS With regard to the blind man part of Hume, hasn’t somone actually now done the test of whether a blind man upon learning to see can immediately recognise and differentiate a cube or sphere by looking and the answer is a definitive ‘no’. Seeing is a learnt behaviour and definitely not innate.